First lady charges relate to alleged illicit financial dealings with Swiss-based NGOs while serving in her husband’s government in the 1970s and 80s. The ruling permanently barred Marcos, who is currently a member of parliament, from holding public office. The corruption court found Marcos guilty of seven counts of violating the Anti-Graft and Corrupt Practices Act. She was sentenced to between six and 11 years in prison for each count. Ferdinand Marcos, who along with cronies was accused of pilfering $10 billion from the Philippines, fled with his family to the US after a people’s uprising ended his 20-year rule in 1986. Warrants of arrest issued against former First Lady and Rep. Imelda Marcos after the Sandiganbayan found her guilty in 7 counts of graft. Sandiganbayan found Ilocos Norte Representative and former First Lady Imelda Marcos guilty of graft. Sandiganbayan convicts Ilocos Norte Rep. Imelda Marcos of 7 counts of graft for her illegal creation of Swiss foundations & bank accounts during her term as Batasan assemblywoman & Manila gov: Marcos & her lawyer were no-show during promulgation of the decision. 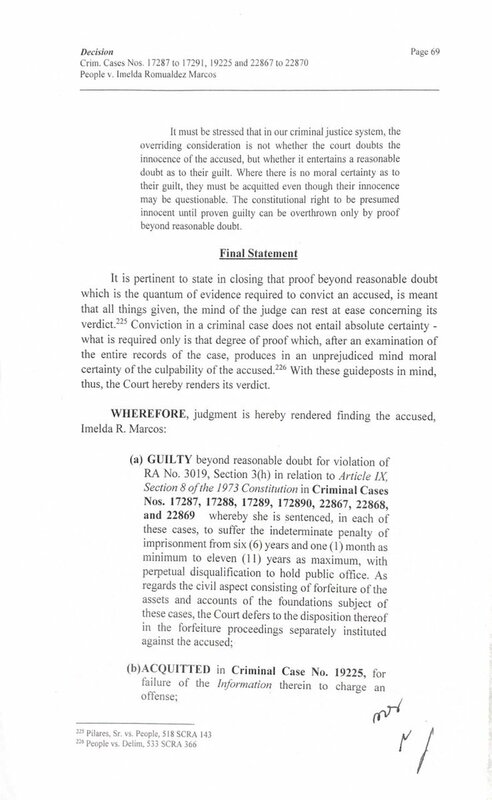 The verdict from the anti-graft Sandiganbayan court orders her to serve a minimum of six years behind bars over charges the Marcoses funnelled roughly $200 million through Swiss foundations decades ago. 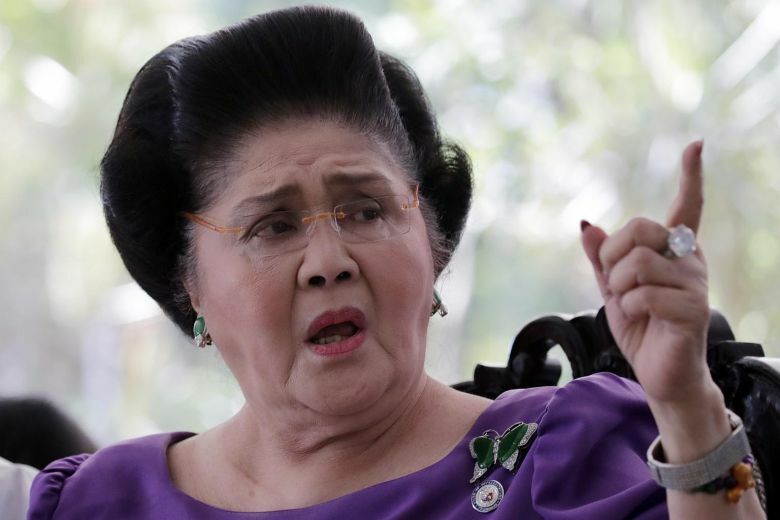 The first Lady, 89-year-old Marcos can appeal the ruling and post bail, which would allow her to remain free while the case grinds through the country’s notoriously slow justice system.